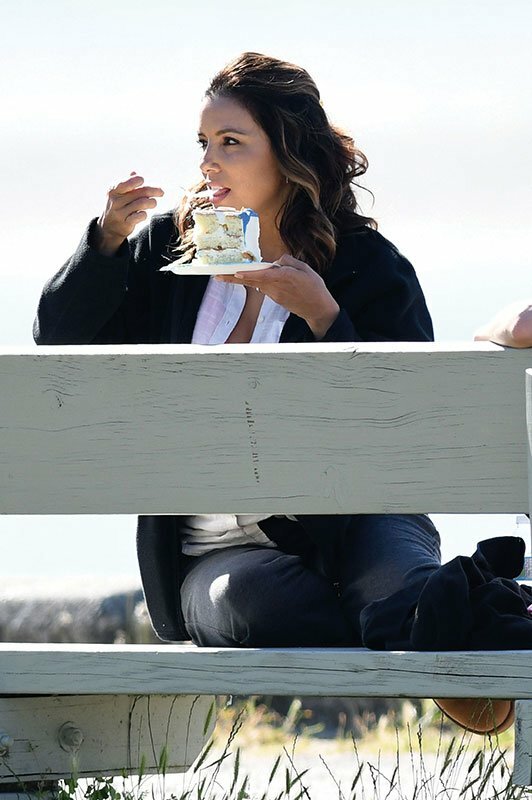 Eva Longoria enjoyed a break from filming as she tucked into a huge cake in Vancouver, Canada. 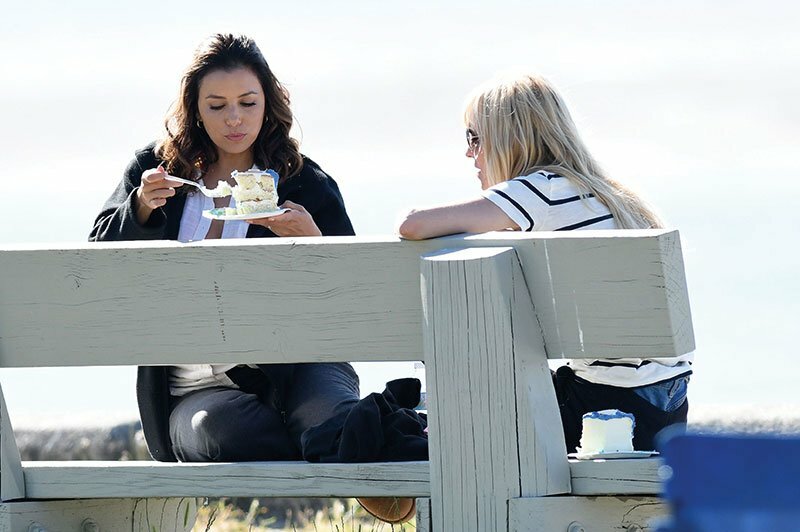 Eva was seen resting in-between takes as she enjoyed a big helping of the treat. Overboard has been filming in British Columbia, Canada which is a remake of the original 1987 starring Goldie Hawn and Kurt Russell which filmed 30 years ago! 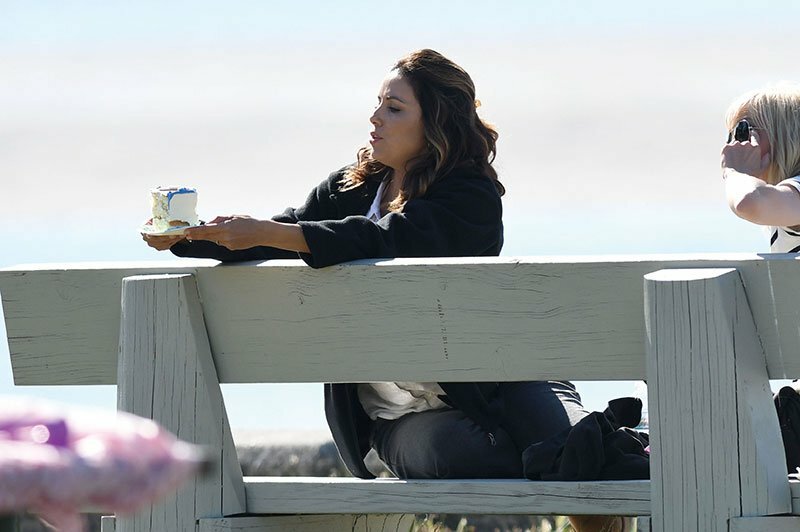 Eva Longoria enjoys a break from filming as she tucks into a huge cake in Canada! Eva plays the best friend of Anna Faris’ character, Kate. Mexican actor Eugenio Derbez also joined Anna Faris in the remake of Overboard with the movie being filmed in the Vancouver area set for a 2018 release. Eugenio González Derbez has been recognized as one of the most influential Hispanic males in the entertainment industry. The actor plays the love interest of Kate (played by Anna Faris). The Overboard remake has actually reversed the roles of the lead characters with Anna playing a struggling working mum and Eugenio plays a rich businessman. Eugenio Derbez was seen filming scenes celebrating Anna’s kids as they win a flag football game. Eugenio Derbez Trivia: Eugenio Derbez directed, and starred in the most successful Spanish-language film ever released in the US and worldwide called Instructions Not Included.